When new restaurants open in town, it’s fair to greet them with a degree of both optimism and apprehension until you’ve tried the food. After eating at newly opened Eliza Restaurant & Bar, I’m not even sure what the word “apprehension” means. 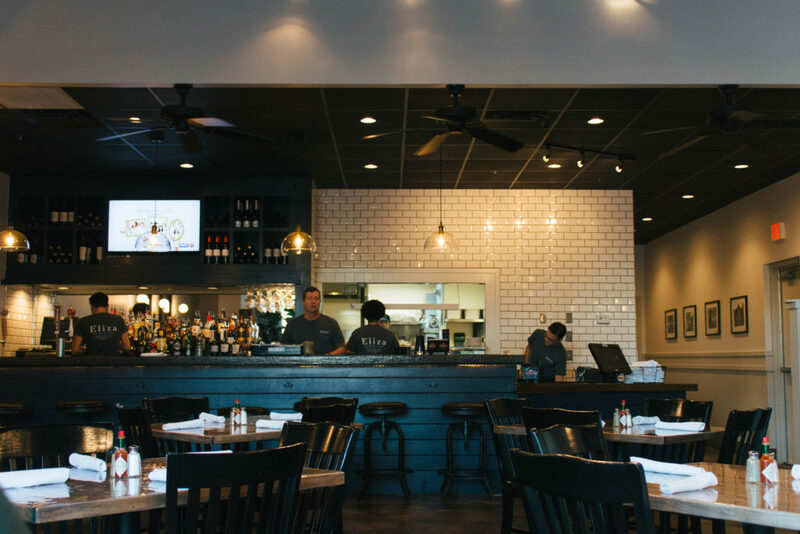 Eliza is a quaint and casual neighborhood restaurant serving local Louisiana food in a shopping center off Jefferson Highway. I arrived for lunch and was welcomed with smiling faces and quick service by the staff. 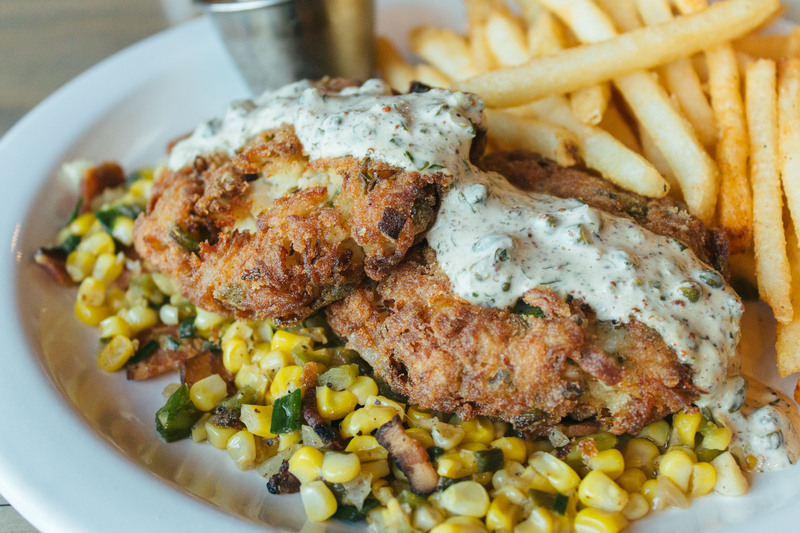 I pored over the menu, which features some mouth-watering entree and sandwich options, from massive crab cakes with corn maque choux to a grilled chicken bruschetta sandwich on ciabatta. The “For Sharing” section of the menu includes cochon sliders and barbecued oysters. Ultimately, I decided to order the grilled Gulf fish—black drum cooked plancha-style to seal in natural juices and lathered in lemon butter sauce. It also came with two sides. As a seafood lover and frequent fish consumer, I have to say, the black drum was immaculate. The tender meat practically jumped onto my fork, and the lemon butter sauce added that much-loved kick. For my sides, I chose shoestring fries and a salad. The shoestring fries were well-seasoned, up to par with the best of the best Cajun fries. They were so good that I had to eat five at a time, which to me, constituted a bite. Bonus: The lemon butter sauce created an excellent dip for the fries. And let’s talk about the salad. Full disclosure: I am one of those people who orders salad as a side at a restaurant and never finishes it. It’s mostly because, frankly, I’d rather be eating the fries, but also because side salads often just consist of a few boring ingredients and dressing. However, at Eliza, it was a different story. 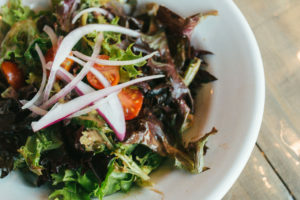 The green salad featured spring mix, tomatoes, red onions and a zesty balsamic vinaigrette dressing. I ate every last bit. Even the server was surprised when she returned after delivering the food to refill drinks and saw that my salad had been eaten in minutes. “That was amazing,” she said, looking at my plate. It’s safe to say that I enjoyed everything I tried. The place is beautiful with a great down-home but slightly upscale atmosphere for lunch or dinner with cocktails. If you’re looking for lunch, Eliza is highly recommended. You might just eat everything this time. 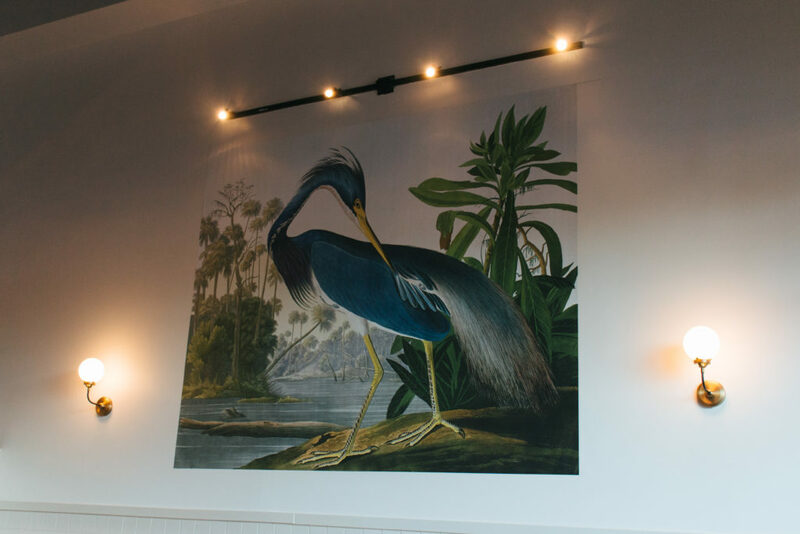 Eliza Restaurant & Bar is at 7970 Jefferson Highway, Suite J, and is open Tuesday-Thursday, 11 a.m.-9 p.m. and Friday and Saturday, 11 a.m.-10 p.m.
An 8-foot-wide mural of a Louisiana Blue Heron adorns one wall in the restaurant.